I wrote previously about the Disney Planes movie, that is now on blu-ray and DVD. My two youngest guys, are obsessed by cars and vehicles, and my 5-year lives and breathes the world of Disney Cars and Disney Cars 2. His bedroom is just a shrine to every diecast Cars car that Disney ever made. He in particularly loves the cars with eyes and big smiles across their faces. He also owns quite a few Disney Planes diecast planes, and he and his 4-year old little brother play with them interchangeably. 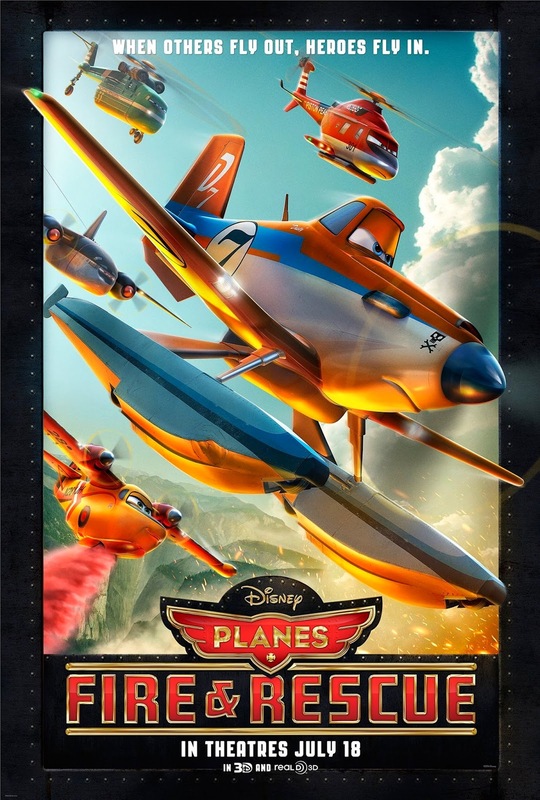 As a parent or grandparent, you've likely heard that Disney Planes is coming out with a sequel to the movie: Disney Planes: Fire & Rescue, which is coming to theatres on July 18th, 2014! Judging from past performance, that it's a Disney title, and from the trailer, it looks like it's going to be another good one. I did note with pleasure that in Fire & Rescue, the worlds of Cars, Planes, and even Trains intersect (if there is ever to be such a movie). As expected, airplane Dusty Crophopper stars in the newest Planes film! It is noteworthy from the trailers I have seen so far, that Fire & Rescue looks a little darker and a bit more frightening than its predecessor, what with fire scenes and thunder and lightning sequences. Therefore, do know the child that you will be bringing to the theatre--and ascertain in advance if such scenes will elicit fear. (VIDEO) Have a watch of the Planes II movie trailer, below. WINNERS: Gary L, Haylie L, Kayla B, Michelle D & Elaine N.
WIN Family Tickets (of 4) to see Disney's Planes: Fire and Rescue movie advance screening, on Wednesday July 16th, 2014! Screenings (depending on location) start between 7:00-7:30pm. Family tickets are available in the following cities: Edmonton, Ottawa, Toronto, Vancouver, and Winnipeg. (5 family passes are being given away, 1 family pass per city.) Contest ends Thursday July 10th, 2014. Unclaimed tickets will be redrawn after 24 hours, so do check your e-mails and spam by July 11th at 12pm noon EST to see if you're a winner. Leave a COMMENT below stating who you would like to bring to see the newest Planes: Fire & Rescue movie OR if your child or grandchild has ever seen Planes I, Cars, or Cars 2. Then, use the entry form below to enter the contest. GOOD LUCK! My son loves Plane's and both Cars movies! He is already counting down the days until Fire and Rescue is released! I would take my 3 boys to this, they would just love it|! I would take my wife and 2 kids! My father in law to be is an avid cars fan, and absolutely adored Planes! It would make his year to get to see this movie, especially in advance :) Thanks for the opportunity! I would take my nephews. I would take my husband, our daughter and her friend. We've seen Planes, Cars and Cars 2!! I would take my friend and her two little girls. Looks cute! We've seen them all. I would take my niece and nephew. We would take our daughter who is 4. She cheered during Planes at the theatre here in Ottawa. She loves Dusty! I would bring my three kids to see this movie. My son and daughter would love this! The whole family loves all of these movies! Id love to bring my mom and two nephews! Our whole family are huge Disney fans (especially my mom) and my nephews have recently really gotten into the cars/planes series! Really hope I can bring them to this in Ottawa! Thanks. I would take my little man, his bestie and my hubby! Thanks for the chance to win passes for winnipeg! I would take my kids! We saw the first movie and it was so much fun! 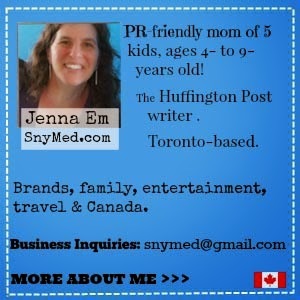 Eczema: Being Comfortable in Your Own Skin! Refreshing Summer Drink Recipe Round Up!